Back your favourite side for round 3 of the English top flight with Paddy Power’s Premier League Enhanced Odds! 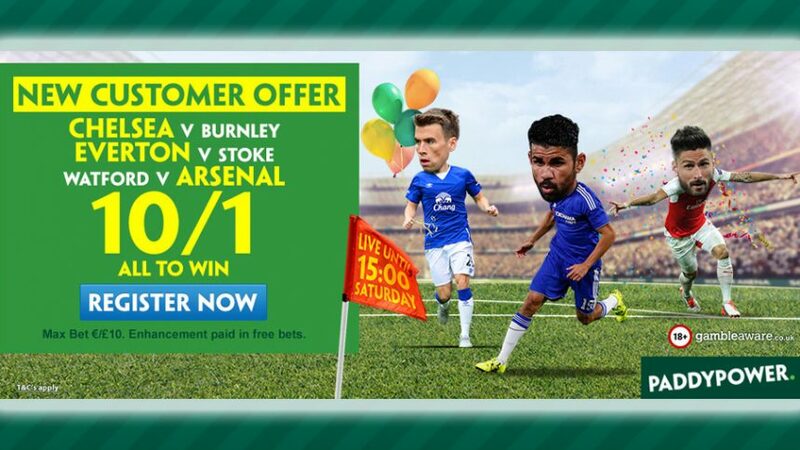 Win £100 this weekend with Premier League Enhanced Odds 11.00 (10/1)! All you have to do is bet £10 on Chelsea, Everton and Arsenal to win their respective games, and you’ll receive 10 times that amount! 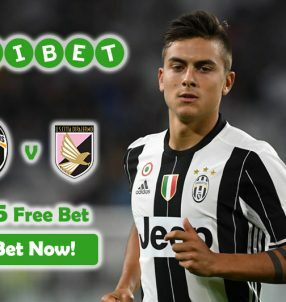 Online sportsbook Paddy Power will reward you with cash based on the standard price on the site, while the rest of your winnings will be given out in Free Bets. This will take the full winnings to the total 11.00 (10/1) with Premier League Enhanced Odds. Place your bet on the three sides to clinch victories before 15:00 BST this Saturday (August 27) to qualify for the Premier League Enhance Odds! Note: Premier League Enhanced Odds Offer is open to customers residing in UK and the Republic if Ireland. After two rounds of the English top flight, Man City (title favourites) top the table, due to GD (goal difference). Chelsea have the same amount of points (6), but their GD stands at 2, but with the way they’re playing under new manager Antonio Conte they’re expected to easily overcome Burnley at Stamford Bridge this weekend. Arsenal are in 13th spot with only a single point from two games, but if Arsene Wenger manages to sign a powerful forward much of their woes would be alleviated. Considering the fact that Watford don’t command the same kind of budget the Gunners do, this Saturday’s clash at Vicarage Road should see Wenger’s men clinch their first three points of the 2016/17 campaign. Everton have so far stood firm by rejecting high bids for their star striker Romelu Lukaku, who bagged an impressive 18 goals in the Premier League last season. Despite not finding the back of the net on the Toffee’s first two outings this year, he’ll be gearing up to open his account against Stoke City at Goodison Park this Saturday. Another three points from this match would see Everton claim a total of 7 from their first three games of the new season, and potentially improve their standing of 5th position on the table. Create a new account with online sportsbook Paddy Power and bet on Chelsea, Everton and Arsenal all to win this Saturday with Premier League Enhanced Odds! Win £100 with Premier League Enhanced Odds!